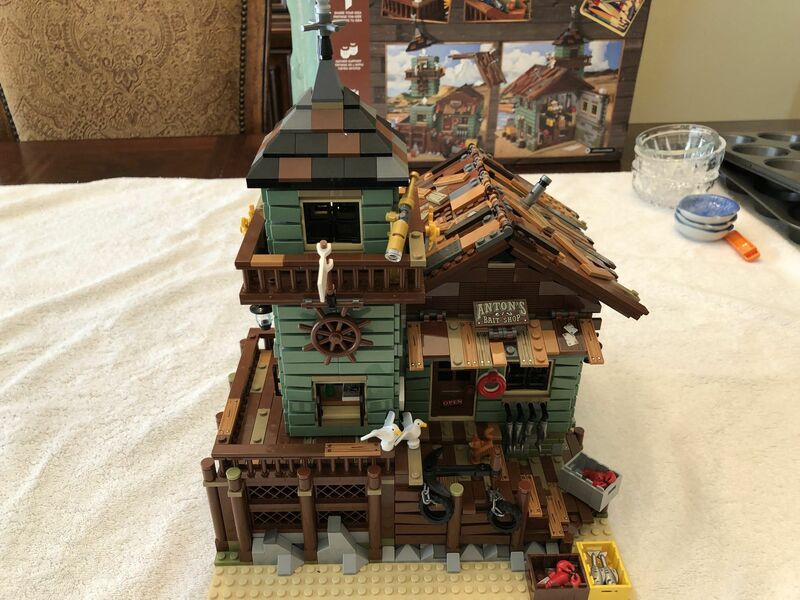 My 9 year old son and I just finished building the Old Fishing Store that I received as a Christmas gift. 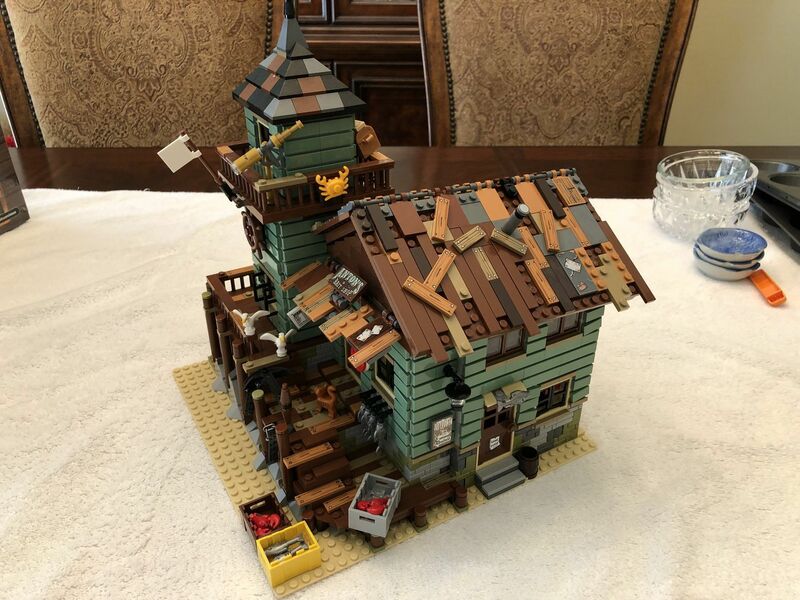 It isn’t that large but since it has a ton of detail there are over 2,000 pieces. There are two removable roofs allowing access to the rooms inside the store and also two walls that swing open for the same purpose. 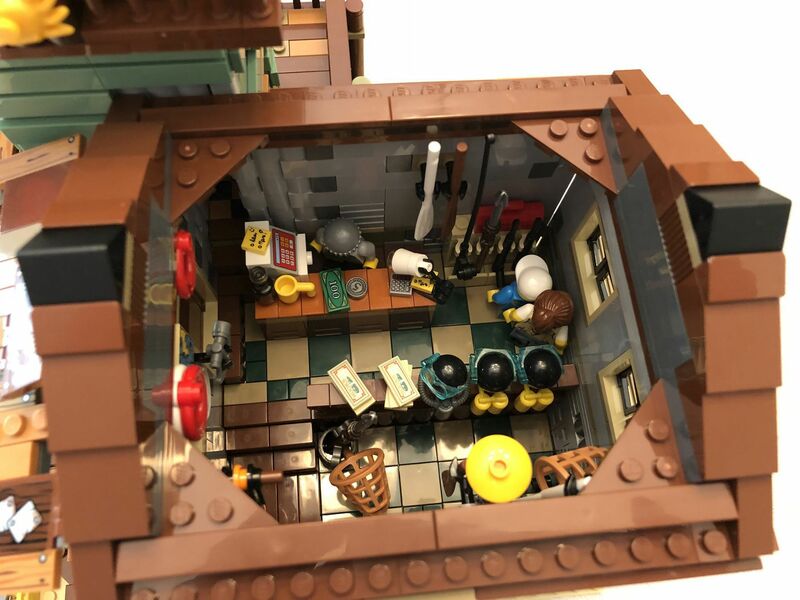 It is one of the more playable sets, in my opinion, because it comes with a ton of loose accessories such as crabs, lobsters, scuba gear, seagulls, chests with fishing gear, TNT (!?!) and other items. 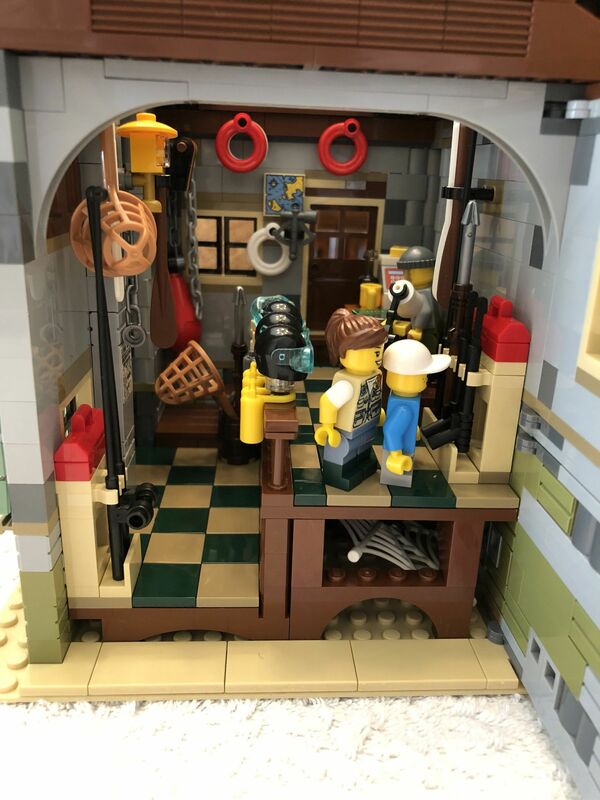 This Lego set game out of their Ideas program where Lego aficionados design kits out of their own imagination and then submit them for voting by other Lego customers. The top vote-getters earn the right to be turned into real Lego kits. The man who dreamed up this kit did a great job. Four photos follow showing some views of the completed build.